Ironclad is a 2011 British action adventure war film directed by Jonathan English. Written by English and Erick Kastel, based on a screenplay by Stephen McDool, the cast includes James Purefoy, Brian Cox, Kate Mara, Paul Giamatti, Vladimir Kulich, Mackenzie Crook, Jason Flemyng, Derek Jacobi and Charles Dance. The film chronicles the siege of Rochester Castle by King John in 1215. The film was shot entirely in Wales in 2009 and produced on a budget of $25 million. 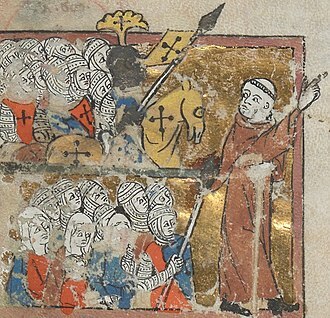 A prologue describes how the barons of England, aided by the Knights Templar, fought against tyrannical King John in a war that lasted more than three years. 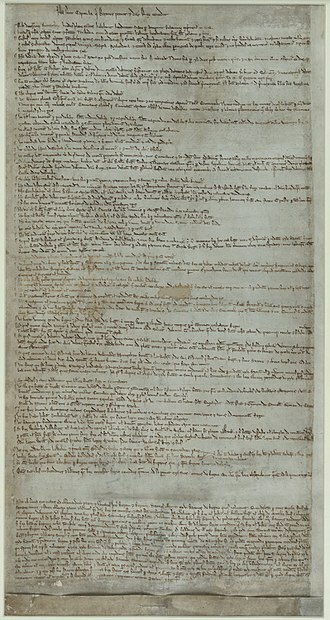 It ended with the King signing the Magna Carta, a document granting rights to all English freemen. 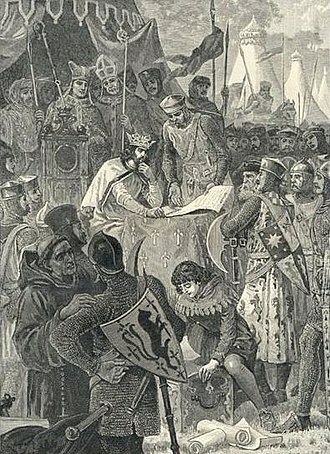 King John regrets succumbing to the pressure of the barons to sign the Magna Carta. Soon after, he hires an army of pagan Danish mercenaries under the leadership of a warlord, Captain Tiberius, to restore John's absolute authority over the kingdom, under the presumption that the Pope has agreed to keep Christian missionaries out of their lands in Denmark. The Abbot Marcus leads three Templar knights (who have taken vows of silence) on a pilgrimage to Canterbury and they take shelter from the rain at Darnay Castle. 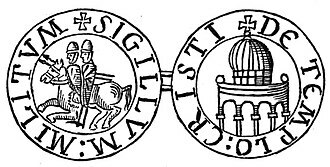 One of the knights, Thomas Marshall, is assured by the abbot that Marshall's release from the Templar Order will be sought at Canterbury. By morning, King John arrives at the castle with his army and mercenaries. Baron Darnay signed the Magna Carta and in retribution John orders him hanged. The Abbot attempts to intervene and the King orders that the abbot's tongue be cut off. 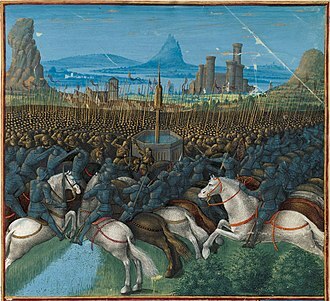 Marshall and the two other knights fight the Danes, during which Marshall escapes the castle on horseback carrying the abbot; the two knights left behind are slain. The abbot dies before night of his wound, and Marshall breaks his vow of silence to swear that his sacrifice will not be in vain. 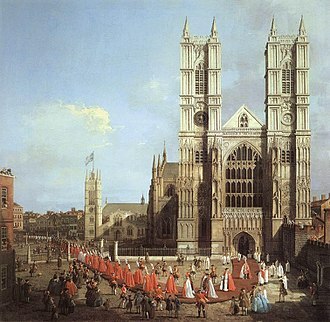 Once he has reached Canterbury, Marshall meets with Archbishop Langton, the author of the Magna Carta, and Baron William d'Aubigny, a former soldier turned wool merchant. 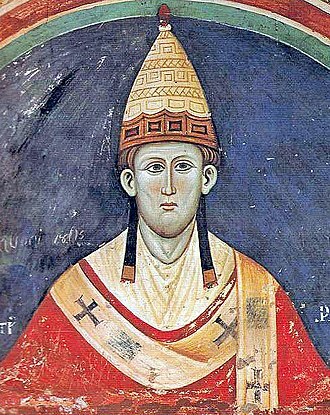 Langton reveals that the Pope has sided with King John and that he himself is to be excommunicated for writing the Magna Carta. The three men agree that John must be stopped, and that the place to do so is Rochester Castle, the seat of Baron Cornhill and a strategic stronghold that controls southern England and allows access to London and the rest of the country. Aubigny persuades three of his men to join him, including his squire, Guy, and a petty criminal named Jedediah, but a fourth turns down the baron's call to arms. A party of seven finally leaves for Rochester where, on arriving, they discover several Danish mercenaries have already claimed the castle; the fourth man had betrayed them to the king. 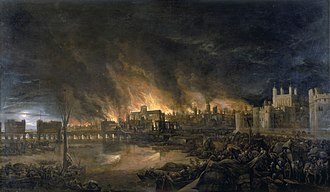 Aubigny's party fights and kills the Danes, and then claim Rochester Castle in the name of the rebellion, much to the displeasure of Cornhill. When John's army finally arrives and lays siege to Rochester, the garrison holds fast and manages to beat the initial Danish assault. In the aftermath, Aubigny offers his men leave if they wish; none accept. A second assault sees the Danes' siege tower destroyed by a trebuchet crafted by the defenders from within the castle. John's forces then attempt to starve out the defenders. 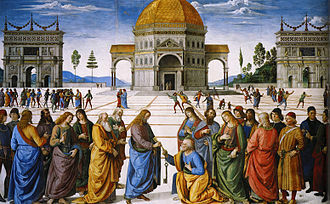 The Archbishop is informed that Prince Louis is biding his time in France and negotiating with John, and sets off in haste to expedite affairs. As the season turns to winter, the hunger of the castle's occupants continue; Marshall leaves the castle under cover of night and then returns ahead of his pursuers with food stolen from the Danish camp. The castle morale is bolstered by Marshall's act and he gives in to the advances of Cornhill's young wife Isabel, breaking his Templar vows. The Danish leader, Tiberius, threatened by John to take the castle or risk the King reneging on their bargain, adopts a different approach in his next attack and manages to sneak a small force of men over the walls before dawn to open the castle gates from within. Guy discovers the infiltrators and sounds the alarm, but it is too late. Tiberius leads the charge into the castle grounds while his Danes slaughter the garrison. During the chaos, d'Aubigny is wounded and left behind in the chaos of the retreat. Marshall recovers in time to don his knight's battle armour and charge the Danes on his war-horse, buying time for the survivors to pull back to the keep. Aubigny is dragged before the King and forced to watch as the hands of two prisoners are chopped off. After a defiant verbal exchange with John, he is subjected to the same fate and then hurled by the castle trebuchet into a keep wall. Cornhill tries to surrender but is stopped; he goes instead upstairs to his bedroom and hangs himself. John's engineers have been preparing a mine under the keep's foundation, and they have a herd of pigs brought and put in the mine which is then stoked, set afire and the animal fat used to damage the keep's foundation, causing it to collapse; as the keep's walls come down, the final assault begins. The last defenders are killed except Guy, Isabel and Marshall, the latter knocked unconscious by falling rubble. Guy goes out to die fighting where he encounters Tiberius and is almost killed, until a recovered Marshall intervenes. Tiberius challenges Marshall to single combat, and Marshall triumphs after a long and savage duel. Horns are heard in the distance as the combined English rebel and French army arrives at last, and John and the remaining Danes disperse in panic. Marshall meets Prince Louis and Archbishop Langton at the castle gates; the latter tells him that he is now free of the Templar Order. Acknowledging England's new king with a nod, Marshall rides off with Isabel, while Guy tells his dead baron that "We held". The epilogue describes King John's death during his retreat and the reconstruction of Rochester Castle, and how it, like the Magna Carta, still stands. Actress Megan Fox was attached to the film when the film's production company, Mythic, began promoting it to investors at the 2008 Cannes Film Festival. Fox left the film and was later replaced by Kate Mara. Due to the decreased amount of credit and financing available in 2009, the budget of the film was reduced and the entire supporting cast was changed, with the exception of actors James Purefoy and Paul Giamatti. 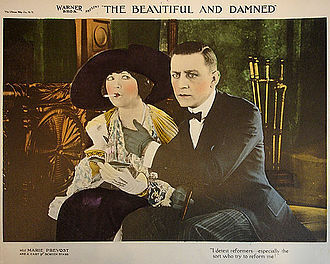 Producer Andrew Curtis described the financing of the film as "more complex than a London Underground map" to Variety magazine; the film ended up crediting 18 executive producers. Principal photography for the film began at Dragon International Film Studios near the village Llanharan in Wales on 9 October 2009. A replica of Rochester Castle was built on the studio complex. Producer Rick Benattar strove to make the film as historically accurate as possible, recreating the historical violent siege of Rochester Castle, and letting viewers experience the battle as if they were there. Ironclad was the largest independent production that has been filmed in Wales, and was among the largest independent films shot in Britain in 2009. The film is only loosely based on reality. 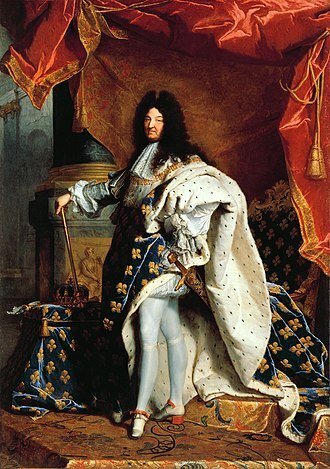 William d'Aubigny commanded the garrison but contemporary chroniclers do not agree on how many men it consisted of. Estimates range from 95 to 140 knights supported by crossbowmen, sergeants, and others. 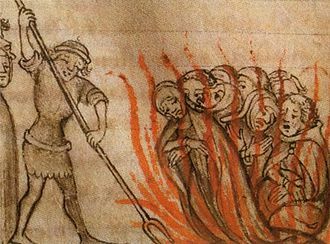 John did take the castle, most of the higher nobles being imprisoned or banished; and the French did not arrive in England until some six months after the siege had ended. Characters departing significantly from the historical record include William d'Aubigny, who was not an ennobled wool merchant (nor was he tortured and killed in the siege). The closing narration explains that this was one of the first victories that the French had that would eventually lead to total victory. 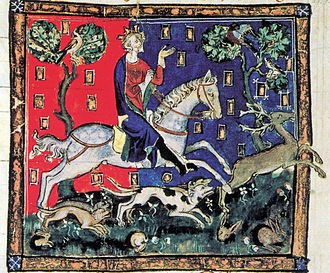 However, not mentioned in the narriation was that after John's death in 1216, many of the English rebels preferred a weak English King in the person of nine-year-old Henry III over an experienced French monarch and thus rallied around Henry. 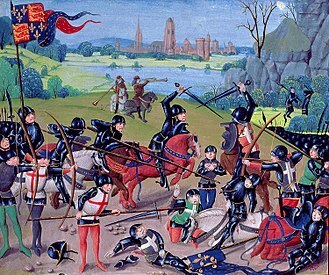 The rebellion was defeated by Royalist supporters in 1217. While the castle itself is depicted realistically, the nearby Norman Cathedral and the City of Rochester itself are completely missing from the location shots. In reality the Cathedral is only a few hundred yards from the castle walls and Rochester has been a substantial settlement since Roman times. The film's Danes are depicted as Hungarian-speaking Viking-like pagans when Denmark had been Christianized by that time. Also, King John's mercenaries were mostly Flemish, Provençals and Aquitainians, not Danes. Thomas Marshal, the main character played by James Purefoy, is based loosely upon medieval knight and statesman William Marshal. The movie has the Knights Templar as amongst the ringleaders in the battle against John Lackland. In reality the Templars and King John had a cordial relation and they were one of the few powerful groups in England which John did not offend or alienate during his reign, and the Order was amongst his financial backers providing him with the necessary funds to wage war. 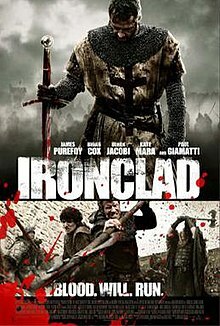 Ironclad received mixed to negative reviews from critics, with many calling it a guilty pleasure. It currently holds 43% critical score on Rotten Tomatoes, alongside a 41% audience score. Manohla Dargis, writing from The New York Times criticized the film for its emphasis on violent action scenes above a cohesive plot, stating that " “Ironclad” alternately feels, plays and sounds like an abridged television mini-series and a feature-length video game," and that "the action is cluttered and the story overly compressed," but conceded that the film was enthusiastic in its pursuit of violence to entertain. 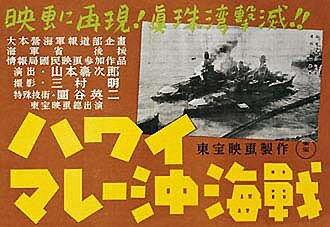 A sequel called, Ironclad: Battle for Blood, was announced as in development shortly after the film's release. It is directed by Jonathan English and set five years after the end of the first film. In late 2013 a trailer was released, and the film was released in March 2014. The sequel went on to receive deeply negative reviews, with a Rotten Tomatoes score of 17% and many critics condemning the film for intensifying the faults from its predecessor. Leslie Felperin from The Hollywood Reporter criticized the film for its decreased budget, less famous ensemble, and "sloppier" retelling of medieval history, but complimented the film on its musical score, stating that "Andreas Weidinger's orchestral score, featuring choral elements and plenty of brass, represents a redeeming feature." ^ https://www.bbc.co.uk/news/magazine-12603356 Why is King John the classic villain? ^ Felperin, Leslie. 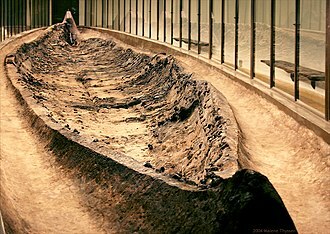 "Ironclad". Variety. Retrieved 10 November 2012. ^ Buchanan, Jason. "Ironclad". Allmovie. Retrieved 10 November 2012. ^ a b c d e f Woodrow, Emily (24 October 2009). 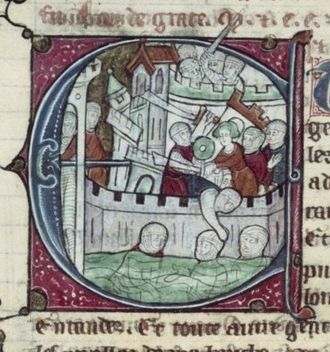 "Medieval battle scenes in the Valleywood mud". South Wales Echo. Retrieved 26 October 2009. ^ a b Dawtrey, Adam (7 May 2010). "'Ironclad' overcomes finance obstacles". Variety. Retrieved 7 May 2010. ^ a b c d e Macnab, Geoffrey (28 October 2009). 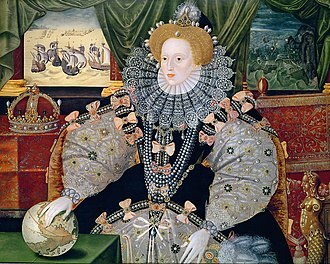 "Large UK cast lines up alongside Giamatti, Purefoy in Ironclad". Screen Daily. Retrieved 29 October 2009. ^ Collins, Peter (13 October 2009). "Hopes for Valleywood sparked by castle set". South Wales Echo. Retrieved 26 October 2009. 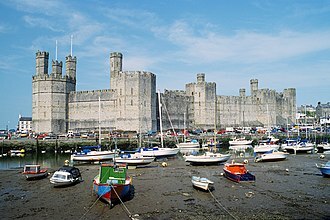 ^ "Film recreates Rochester castle siege – in Wales Archived 18 December 2009 at the Wayback Machine". Kent News. 14 November 2009. Retrieved 14 November 2009. ^ Clarke, Cath (3 March 2011). "Ironclad – review". The Guardian. Retrieved 27 September 2011. ^ Brown, Reginald Allen (1969). Rochester Castle. London: Her Majesty's Stationery Office. pp. 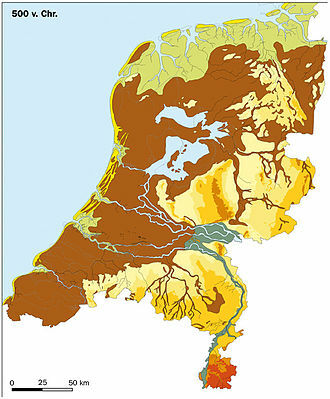 12–13. ^ McGlynn, Sean (1 January 2011). "King John and the French Invasion". BBC History. Retrieved 15 March 2012. ^ Jones, Dan, The Templars. The Rise and Fall of God's Holy Warriors, London, Head of Zeus, 2017, ISBN 9780525428305, p. 224. ^ Dargis, Manohla. "Grant a Few Rights, See What Happens?". The New York Times. Retrieved 5 April 2018. ^ Felperin, Leslie. "'Ironclad: Battle for Blood': Film Review". The Hollywood Reporter. Kate Rooney Mara is an American actress. She starred in the Netflix political drama House of Cards as Zoe Barnes and she made her film debut in 1999 with Random Hearts. She appeared in the FX horror miniseries American Horror Story, Kate Rooney Mara was born and raised in Bedford, New York. She is the daughter of Timothy Christopher Mara, a NFL scout and vice president of the New York Giants for player evaluation and she is the second of four siblings, with one older brother, one younger sister and one younger brother, Conor. Maras father has Irish and French Canadian ancestry and she is a great-granddaughter of both New York Giants founder Tim Mara and Pittsburgh Steelers founder Art Rooney, Sr. Her paternal grandparents were Wellington Mara and Ann Mara, Wellington co-owned the Giants football team from 1959 until his death in 2005, and was succeeded by her uncle, John Mara, who is currently President, CEO, and co-owner of the team. Her maternal grandfather, Timothy James Tim Rooney, has run Yonkers Raceway in Yonkers and her granduncle, Dan Rooney, chairman of the Steelers, was a former United States Ambassador to Ireland and the co-founder of the charitable organization The Ireland Funds. 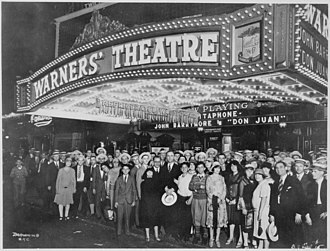 An uncle, Art Rooney II, is the current President, Mara began acting at the age of nine in a school musical. She attended several youth theater-arts schools and appeared in community theater, Mara described herself to Esquire magazine as having been painfully shy while growing up and said she only had one friend. Her first audition was for the NBC police drama Homicide, Life on the Street and she did not get the role but knew from on that she just wanted to act. Maras first television role was in the NBC legal drama Law & Order in 1997 and she went on to guest star on numerous television series, including Madigan Men, Ed and Law & Order, Special Victims Unit. Mara appeared on Cold Case, Boston Public, CSI, Mara was cast as the lead in the 2004 WB pilot Prodigy, about a teenage child prodigy. She had a role on the WBs Jack & Bobby in 2005. Mara joined the cast of the HBO comedy-drama Entourage for the sixth season in 2009. She played Brittany, Eric E Murphy s assistant at his talent-management company, Mara filmed four episodes for the series in 2009. A trebuchet is a type of siege engine most frequently used in the Middle Ages. It is sometimes called a trebuchet or counterpoise trebuchet, to distinguish it from an earlier weapon called the traction trebuchet. The counterweight trebuchet appeared in both Christian and Muslim lands around the Mediterranean in the 12th century and it was commonly used to fling projectiles weighing between 50 kilograms and 100 kilograms at or into enemy fortifications located up to 300 metres away. 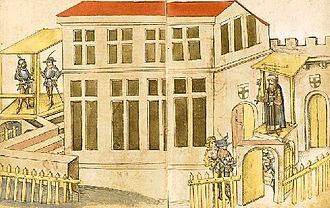 Its use continued into the 15th century, well after the introduction of gunpowder, the three distinguishing characteristics of a trebuchet are, The trebuchet is a compound machine—a combination of simple machines. The trebuchet makes use of the advantage of a lever. Most trebuchets are powered exclusively by the force of gravity, potential energy is stored by means of an extremely heavy weight box attached to the counterweight portion of the throwing arm. When the trebuchet is fired, the box is permitted to fall. The throwing arm is usually four to six times the length of the counterweight portion and these factors multiply the acceleration transmitted to the throwing portion of the arm and its attached sling. The sling is affixed to the end of the portion of the throwing arm. The sling contains the projectile and transmits the forces generated at the end of the arm to the projectile. The sling changes the trajectory, so that, at the time of release from the sling, the couillard is a smaller version with a single stem or platform instead of the usual double A frames. 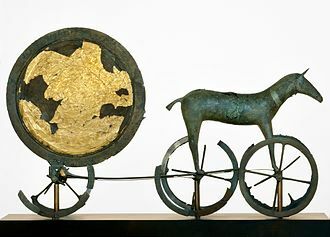 The counterweight is split into two halves to avoid hitting the center stem, the trebuchet derives from the ancient sling, and originated in China. A variation of the sling, called staff sling, contained a piece of wood to extend the arm. This evolved into the traction trebuchet in which a number of people pulled on ropes attached to the arm of a lever that has a sling on the long arm. This type of trebuchet was smaller and had a shorter range and these teams would sometimes be local citizens helping in the siege or in the defense of their town. Traction trebuchets had a range of 100 to 200 feet when casting weights up to 250 pounds, the first traction trebuchets were invented by the Chinese sometime before the 4th century BC. Paul Edward Valentine Giamatti is an American character actor and producer. He has won two Golden Globe Awards, a Primetime Emmy Award and four Screen Actors Guild Awards, Giamatti was born June 6,1967, in New Haven, the youngest of three children. His father, A. Bartlett Giamatti, was a Yale University professor who became president of the university. His mother, Toni Marilyn Giamatti, was a homemaker and English teacher who taught at Hopkins School and had previously acted. His paternal grandfathers family were Italian immigrants from Telese Terme, the surname was originally spelled Giammattei. The rest of Giamattis ancestry is German, English, French and his paternal grandmother had deep roots in New England, dating back to the colonial era. His brother, Marcus, is an actor, and his sister, Giamatti was first educated at The Foote School and graduated from Choate Rosemary Hall in 1985. He attended Yale University, where he was elected to the Skull and he was active in the undergraduate theater scene, working alongside fellow actors and Yale students Ron Livingston and Edward Norton. He graduated in 1989 with a degree in English, and went on to earn a Master of Fine Arts degree from the Yale School of Drama. In 1997, Giamatti landed in his first high-profile role as Kenny Pig Vomit Rushton in the adaptation of Howard Sterns Private Parts. Stern praised Giamattis performance often on his program, calling for him to be nominated for the Academy Award for Best Supporting Actor. In 1998, Giamatti appeared in a number of supporting roles in the films, The Truman Show, Saving Private Ryan. In 1999, he played Bob Zmuda and Tony Clifton in Miloš Formans Andy Kaufman biopic, Giamatti continued steadily during the early 2000s by appearing in major studio releases including Big Mommas House, Planet of the Apes and Big Fat Liar. In 2003, Giamatti began to earn critical acclaim after his role in the film American Splendor. In 2004, Giamatti gained mainstream recognition and fame with the 2004 independent romantic comedy Sideways and his portrayal of a depressed writer vacationing in the Santa Barbara wine country garnered him a Golden Globe nomination and an Independent Spirit Award. 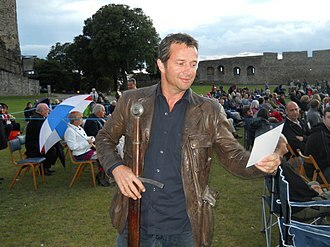 James Brian Mark Purefoy is an English actor and director. He was born in Somerset and attended Sherborne School before training at the Central School of Speech and his appearances in stage plays and a variety of television roles in the UK and USA have grown since the 1980s. Purefoy was born in Taunton, the eldest son of Anthony Chetwynd and he boarded at Sherborne School, which he left with only one O-level. He went to school and received 11 more O-levels. He worked as a porter at Yeovil District Hospital before studying acting at the Central School of Speech, Purefoys early professional roles included Romeo in Romeo and Juliet in Leatherhead, Walter in Mary Morgan at the Riverside Studios and Alan Strang in Equus on tour. He subsequently joined the Royal Shakespeare Company in 1988 and appeared in The Constant Couple, The Tempest, The Man Who Came to Dinner and he returned to the RSC for Simon Callows stage adaptation of the film classic, Les enfants du paradis at the Barbican. He played Hugh de Morville in Paul Corcorans Four Nights in Knaresborough at the Tricycle Theatre, Purefoy was screen tested for the role of James Bond in 1995 for GoldenEye, but ultimately lost the role to Pierce Brosnan. Throughout 2004 and 2005 Purefoys name was rumoured as a candidate to replace Brosnan as Bond in future films. He played James McCarthy, a man accused of murdering his father, in The Boscombe Valley Mystery. One of his roles was as Nicholas Jenkins in the eight-part miniseries A Dance to the Music of Time for Channel 4 in 1997. He played Edward, the Black Prince in the film A Knights Tale, Rawdon Crawley in Vanity Fair with Reese Witherspoon and Tom Bertram in the 1999 production of Mansfield Park. He was originally the actor for V in the 2006 Film V for Vendetta but had creative differences with the production team, parts of the film contain scenes of Purefoy. Speculation suggested that his departure was due to an opportunity to play James Bond in the 2006 film Casino Royale and he played Mark Antony in the HBO/BBC original television series, Rome. At the time there were rumours that at least one body in the show had been digitally enhanced. Producer William J. MacDonald announced that James Purefoy would play Simon Templar in a new TV series of The Saint, the new series was scheduled to start shooting in Berlin and Australia in April 2008. Walter Charles Dance, OBE is an English actor and film director. 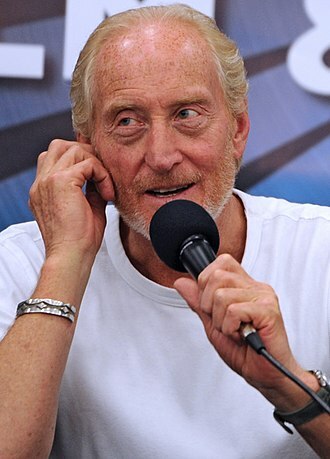 Dance typically plays assertive bureaucrats or villains, Charles Dance was born in Redditch, the son of Eleanor, a cook, and Walter Dance, an engineer. Growing up in Plymouth, he attended Widey Technical School for Boys in Crownhill, Dance was a member of the Royal Shakespeare Company during the mid-to-late-1970s and was in many of their productions in London and Stratford-upon-Avon. Later he returned to the RSC to take the role in Coriolanus at Stratford-upon-Avon and Newcastle in 1989. He received rave reviews and a Critics Circle Best Actor award for his performance as the Oxford don C. S. Lewis in William Nicholsons Shadowlands, in the 2007 stage revival. He has starred in many other British television dramas such as Edward the Seventh, Murder Rooms and Hopkirk, The Phantom of the Opera and Bleak House. He played Guy Spencer, the pro-Hitler propagandist, in the installment of Foyles War. Dance made a guest appearance on the BBC drama series Merlin as the Witchfinder Aredian and he played Havelock Vetinari in the 2010 Sky adaptation of Terry Pratchetts Going Postal. He played the role of Tywin Lannister in HBOs Game of Thrones, based on the Song of Ice, Dance was wooed for the role by the producers whilst filming Your Highness in Belfast. Dance played Conrad Knox on the British television series Strike Back and he appeared in Paris Connections as the Russian oligarch Aleksandr Borinski. Dance made one of his earliest big screen appearances in the 1981 James Bond film For Your Eyes Only as evil henchman Claus. Though he turned down the opportunity to screen test for the James Bond role, in 1989 he played Bond creator Ian Fleming in Anglia Televisions dramatised biography, Goldeneye. On 30 June 2013, Dance appeared amongst other celebrities in an episode of the BBCs Top Gear as a Star in a Reasonably Priced Car for the debut of the Vauxhall Astra. Dances debut film as a writer and director was Ladies in Lavender, in 2009, he directed his own adaptation of Alice Thomas Elliss The Inn at the Edge of the World. Dance married Joanna Haythorn in 1970 and he became engaged to sculptor Eleanor Boorman in September 2010. Rochester Cathedral is visible beyond the castle's ruined fortifications.